We all know that after updating to Windows 8 or Windows 8.1 it is possible to experience various bugs and issues due to system incompatibility problems. Similar and by keeping this in mind, we might also get an Intel Service Manager Crash Report alert which will basically prompt us to make some changes within our system in order to address this problem. So, in case you have recently received the “Intel services manager crash” error on your Windows 8 / Windows 8.1 system, then you should follow the steps from below in order to learn how to easily address this stressful and annoying issue. Basically, you will be able to fix your problem by applying a few updates, though if the error persists you will have to dig deeper in finding what’s the real cause; anyway, we will talk more about this during the guidelines from below. Now, usually the Inter-Services Manager Crash Report error is being displayed after a reboot of your system or after you apply a new Windows 8 update. You might get numerous alerts on that matter, or you should be able to temporarily address the problem by restarting your device. Anyway, for a proper troubleshooting solution, check the lines from below. As I have already pointed out, in Windows 8 most of the problems are related to incompatibility issues. Well, in this case the problem might be caused due to same reasons or by a driver corruption in your system. So, the best way in which you can fix your errors will be in getting the latest drivers and updates from your manufacturer official website. Also, it is recommended to update your BIOS chipset driver too, as there might be some problems related to the same. We strongly recommend TweakBit’s Driver Updater (approved by Microsoft and Norton) to automatically download all the outdated drivers on your PC. It’s a great tool which scans for updates as antivirus scans for threats. This tool will keep your system safe as you can manually download and install the wrong driver version. Disclaimer: some functions of this tool might not be free. Once your drivers are up to date, check if the problem is resolved. Usually, this process is fixing the Windows 8 Intel Services Manager Crash errors; but if on your device you are still experiencing the same alert, then try to apply the next guidelines. From there press “Wind + R” dedicated keyboard keys. The Run box will be displayed. On the same enter “msconfig”. Go to the Startup tab and just uncheck the Intel App Center box in order to disable the same. Apply the changes, click Ok and then reboot your Windows 8 / Windows 8.1 device. 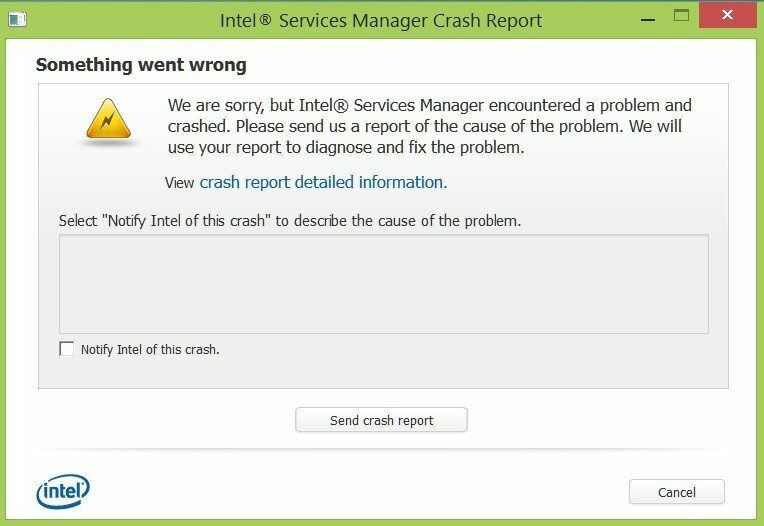 In rare situations, the Intel-related crash error might be caused by a malware. Well, in that case you should download an antimalware program (such as Malwarebytes) and install the same on your device. 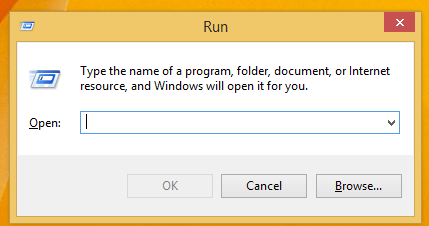 Then run a full scan and wait while the antimalware program is removing infected files or tools from your system. Finally, check to see if the problem is still there. We also recommend you to download this tool (100% safe and tested by us) to scan and fix various PC problems, such as file loss, malware, and hardware failure. In addition to the guidelines from above, you can anytime send a report of your problem to the Intel official support page by using this link. So, that was all for now as those were the troubleshooting solutions to apply when dealing with “Intel services manager crash” Error in Windows 8 or Windows 8.1 operating systems. Editor’s Note: This post was originally published in Mai 2014 and has been since revamped and updated for freshness, accuracy, and comprehensiveness.